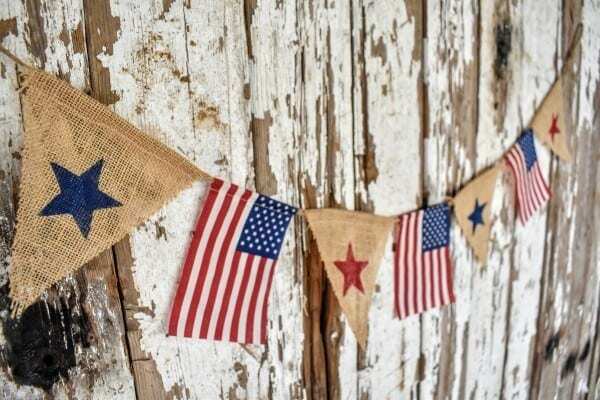 As simple as it is, this sweet patriotic banner turned out spectacular! 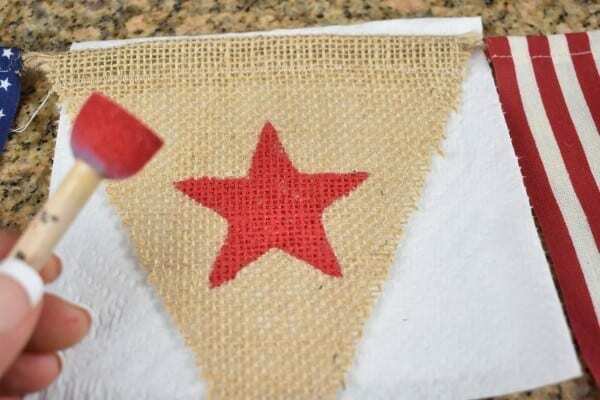 It was very cheap and easy to make as well as you only need some burlap and a few mini flags. 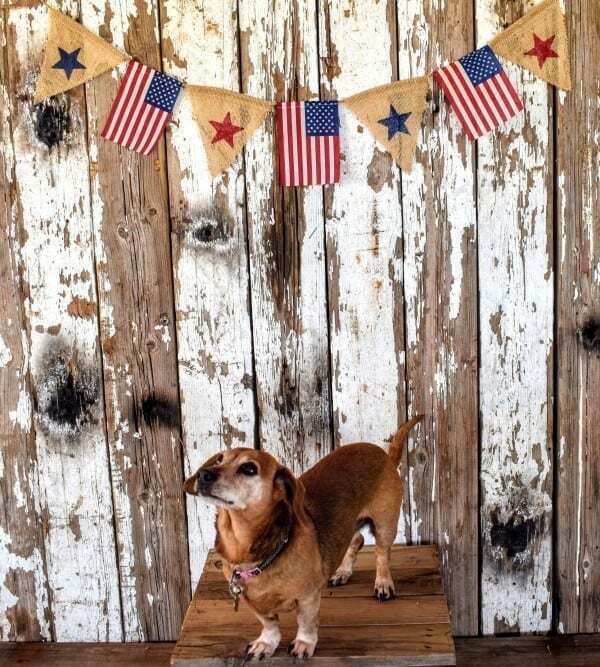 The burlap gives it that wonderful rustic, vintage look and it brightens up any part of you house that needs a little patriotic spirit. 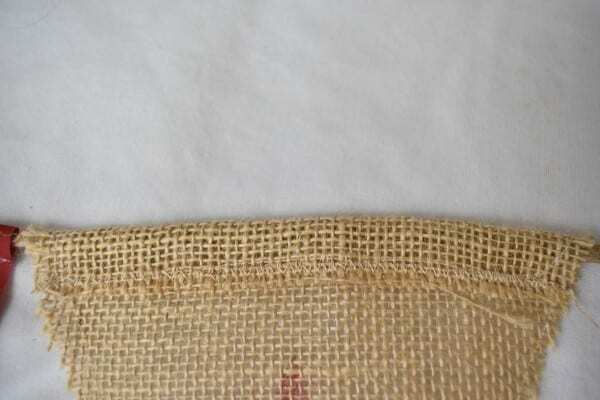 This can also be a ‘sew’ or ‘no sew’ project as well, which is definitely a huge bonus! Come on ‘lil’ Tink, stand at attention! 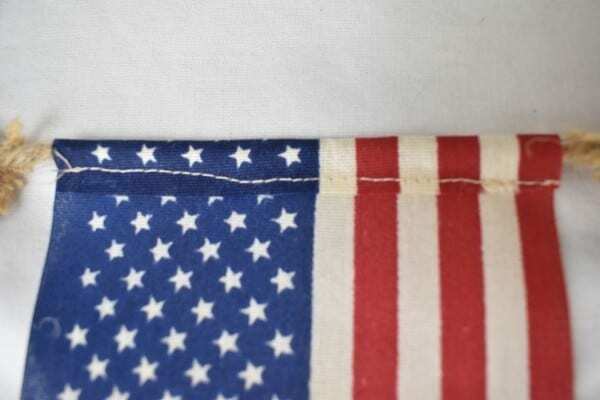 Small cotton fabric flags (approx. 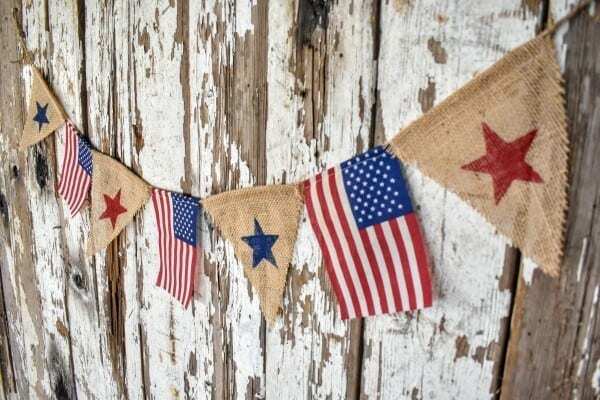 4×6 inches) I bought mine at Joanne’s during 4th of July season but any craft store, party store or Walmart should have them. You can also buy them HERE. 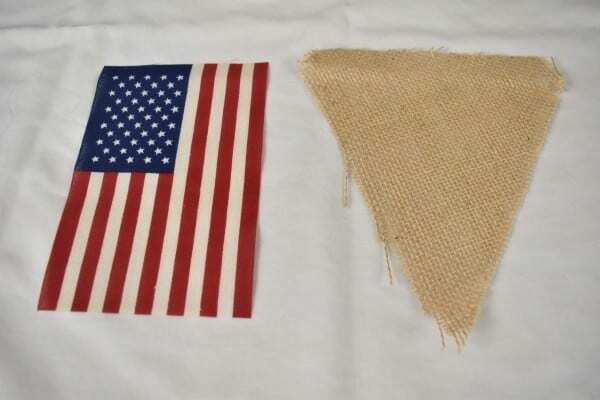 For a more ‘worn’ look, you can soak your flags in some tea for a few hours and lay them out flat to dry. 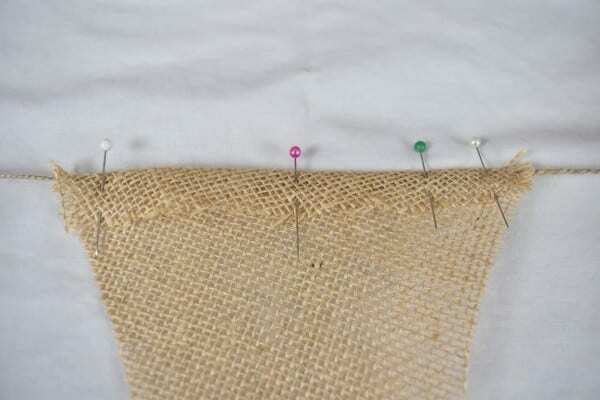 Now secure the flaps down either with a hot glue gun or sewing machine. 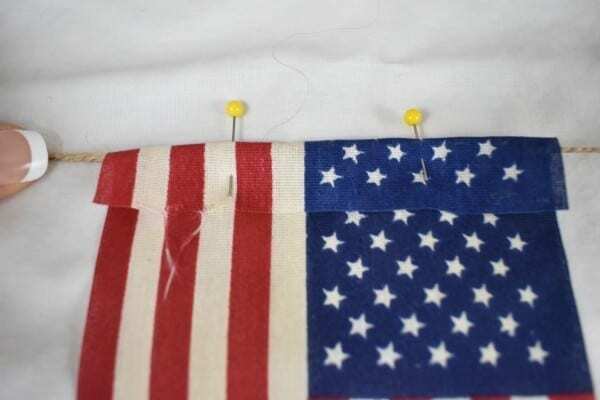 I like sliding my flags around for adjusting, so I make sure to stay away from the string so as not to attach it permanently to the flag. 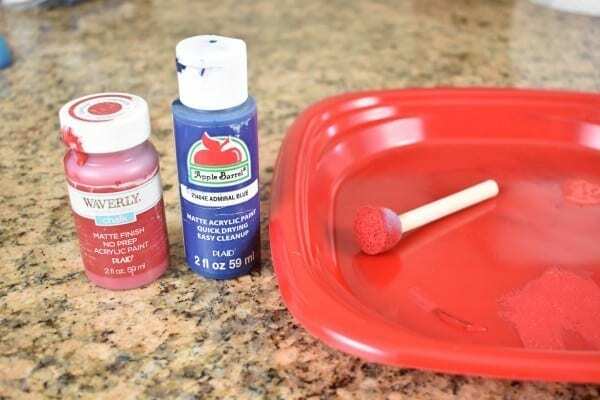 Gather your paint and paint applicator. 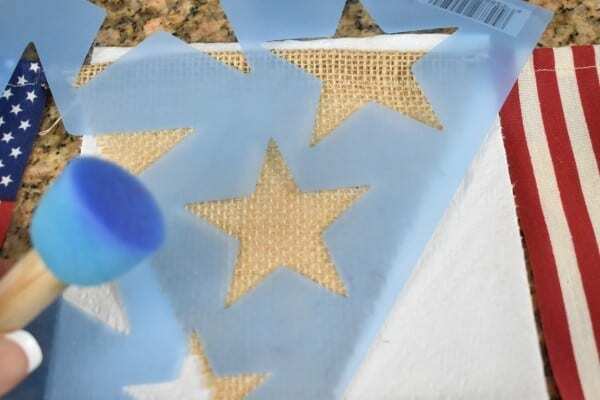 I use a paper plate to squeeze a dollop of paint onto and then dab the excess off with my sponge applicator. 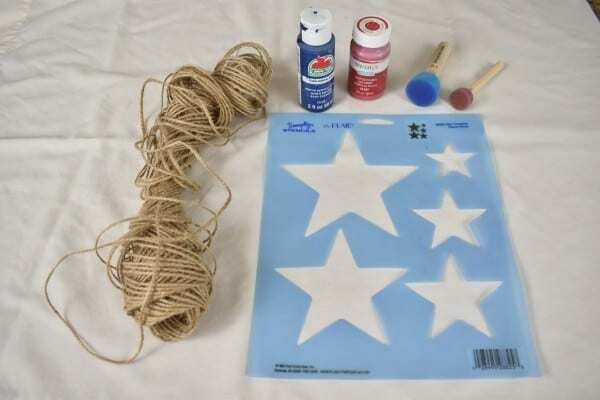 Place your stencil where you want your star and sponge on the paint. 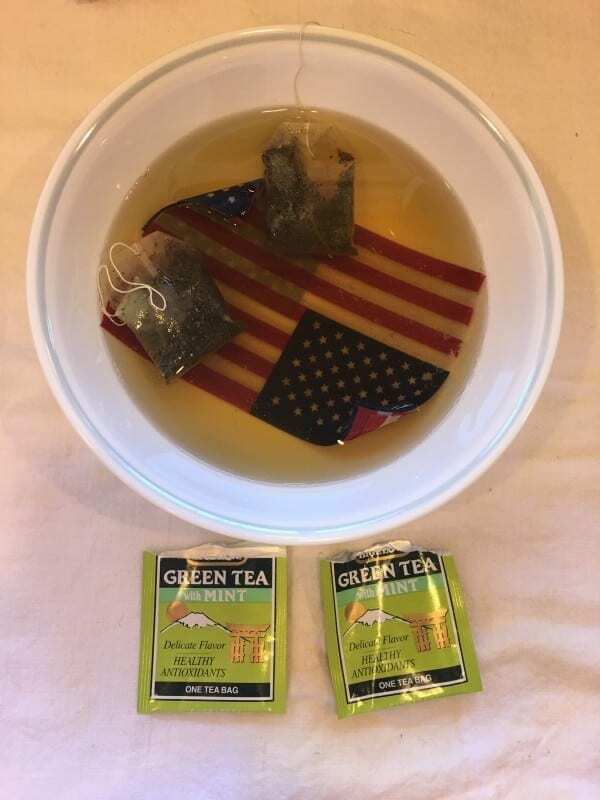 I placed a paper towel underneath my flag to avoid a mess. Now let it dry and go hang it up!! Beautiful! I LOVE how simple this banner is to make and how colorful it is! 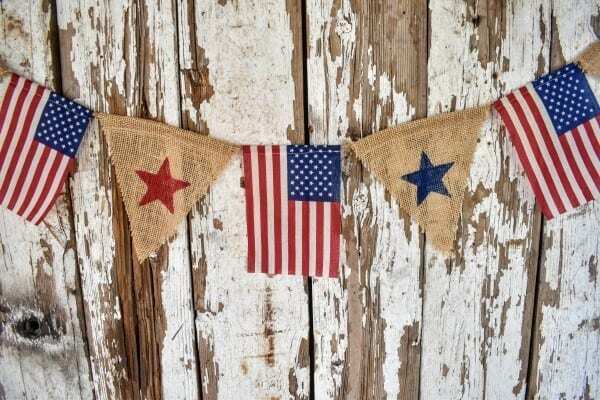 I am already have the burlap and flags. Thank you Tiffany for sharing this idea! 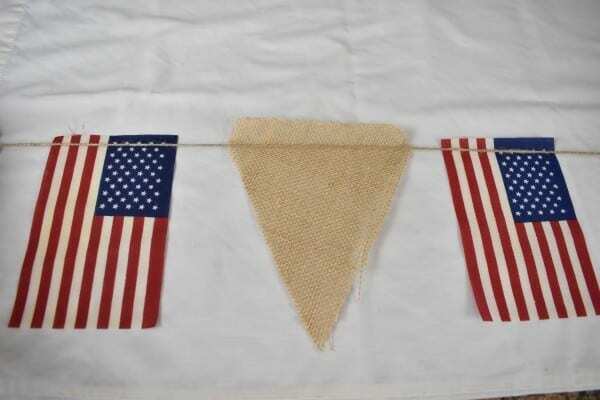 This banner will look perfect across my mantle. I’m definitely making this one. You have some great ideas. Thank you! Thank you Kim, I’m glad you enjoyed the post! Thanks Ravi! It’s my pleasure!